Post-9/11, Muslims and those who look visually similar have become the face of terrorism within British and American television, quintessentially in programs like Homeland. Thus, the few characters who appear are often tainted with misrepresentations of misogyny and murder – I’m exhausted, as are millions of other viewers. In this new era of championing diversity, I’ll use five examples of characters from this decade to explain my critique of the visible Muslim women I’ve seen on the small screen, from the outrageously stereotyped to nearing normality. ABC’s Quantico took a huge leap forward with the first Indian lead on US television and piqued my interest when I spotted the Amin twins. 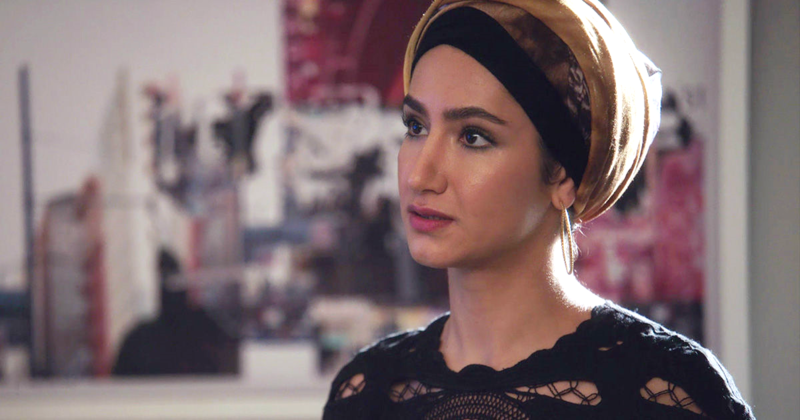 With a personality type like mine and dedication to her faith, Yasmine Al Massri’s Raina Amin is the closest I’ve come to seeing a woman on television with religious practices similar to my own. As much as I enjoyed her character and cheered when they showed her saying her prayers, the plot quickly became overwhelmingly intense. There’s only so much a girl can handle of the ‘Trust No-One’ angle before it is irritatingly overplayed. Working for the FBI, Raina goes undercover in terrorist cells and is incarcerated under suspicion of a bomb attack. This affiliation, though in line with the premise of the show, was disappointing considering its relative isolation: viewers only seeing a practicing Muslim woman in this context, even in a more positive light, is still damaging. A study once found around 60% of Americans have never met a Muslim, so without better education in place there is a heavier burden on media like this to re-establish the balance, for the sake of the 7 million Muslims in the West. Sadly, the opposite seems to be the case – a 2011 reality show called “All American Muslim” lost advertising money and was taken off air because of one man, named David Caton. The only member of his Family Florida Association, wrote in to say it was “propaganda to show Muslims as nice, friendly, next-door neighbour people” and the amplification of this one voice was enough to shut it down. Across the pond, British Muslims have been similarly outspoken with the creation of the Riz Test, based on Riz Ahmed’s 2017 House of Commons speech, calling out recurring Islamophobic stereotypes. Take the BBC’s latest hit Bodyguard, reaching 11 million viewers with the most-watched finale since Downton Abbey. Now, one could argue that this is not inherently dangerous; nobody is denying the existence of ISIS. But, within a country where Islamophobic hate crime against Muslim women is on the rise, and with a show so widely viewed, this portrayal was not only badly written but frankly irresponsible on a national level. When the root word for ‘Islam’ is peace (as well as submission to God) and ‘Jihad’ refers to personal struggles, not a mandate for murder, it is frustrating to have this kind of character in focus. Modesty is a choice that many Muslim women make for God, something akin to the nuns so lovingly portrayed in Call the Midwife. Broadly, this means covering hair and wearing long clothing to cover the rest of body to the wrists and ankles. While some are forced into this lifestyle, this oppression is rooted within misogynistic culture, the Quran itself opposes, stating: “There is no compulsion in [acceptance of] religion.” The need for willing consent and therefore stronger faith is significant within Islam as spiritual journeys are seen as very personal. Take Adena El-Amin of The Bold Type: she is a creative and developed character, introduced in the pilot doing a powerful photo project, humanising women in hijabs and niqabs. 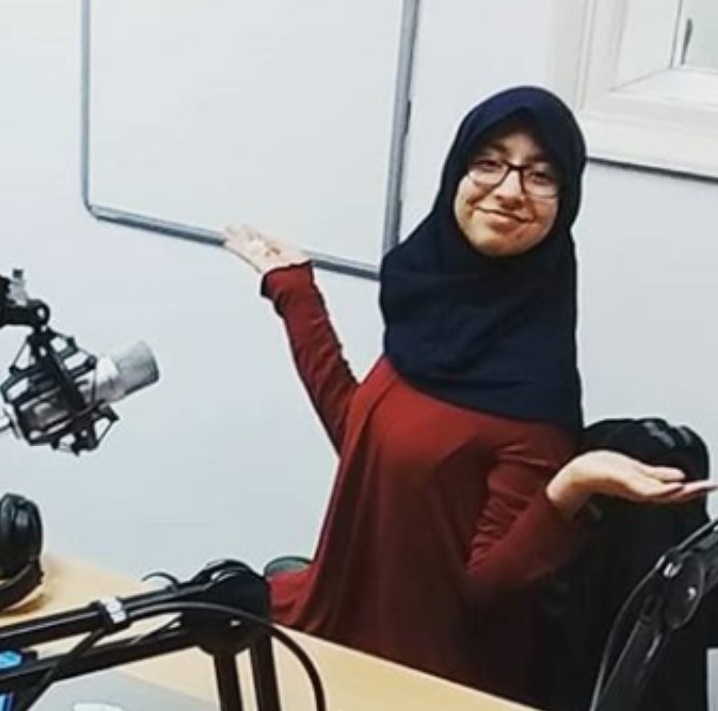 The holding of signs like “Poet!” and “Marathon Runner” were reminiscent of the 2016 social media movement #traditionallysubmissive that even my twin sister took part in. After a strong storyline about Islamophobia and the fragility of her ability to stay in the US in season 1, she does not wear her scarf with the same fervour in season 2 and is no longer a regular in the next. I somehow doubt they will be introducing another Hijabi character any time soon, so this has been a disappointing decline when there could have been more said about her personal faith rather than the political perceptions of her. Conversely, Mr Robot. had Trenton, a hacktivist who worked for fsociety in its early stages. Also an Iranian immigrant, she hates the corruption of the American dream by capitalism. Considering the socialist stance of Islam (e.g. compulsory tax to alleviate poverty), though her actions are illegal in the US, she uses her skills to fight for financial freedom. Despite pressures to act otherwise, Trenton remains ethical, refusing to participate in crimes that don’t serve this goal. She is dedicated to protecting her family and little details like her avoidance of alcohol were satisfying to watch. 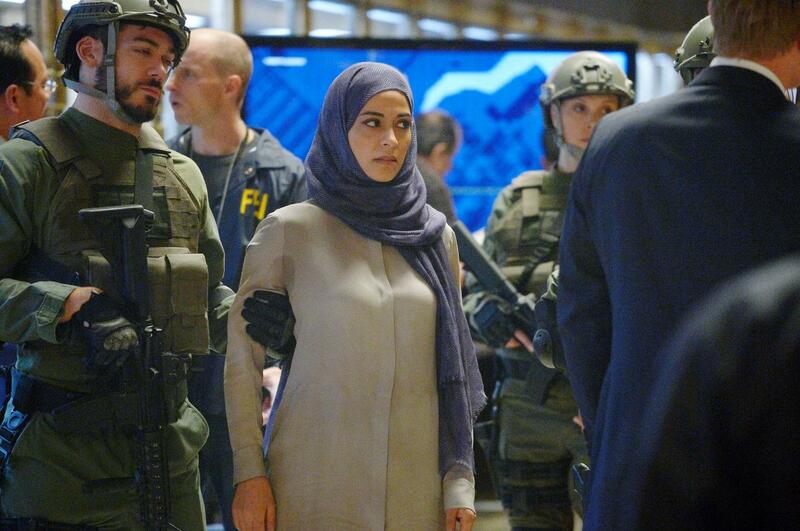 This angle is a heroic subversion of a Muslim woman as an inexplicable foreign terrorist and within a show that provides a more nuanced political perspective than the black-and-white, mainstream page-turner of Quantico, fascinating to behold. Another positive representation I found in my research was in the recent seasons of Shonda Rhimes’ Grey’s Anatomy, first with Muslim women in hijabs as extras under Ellen Pompeo’s directorial debut and later with a new intern. Dr Dahlia Qadri made a memorable entrance, using her scarf to stem a femoral artery bleed. Her rationale defines exactly what I love about Islam: the concern of saving a life within that moment overruled her need for hijab. An obvious choice for viewers like me, who easily balance being women in STEM with faith, perhaps less so to those who see an archetype of the “anti-modern and superstitious” (Riz Test category 3). What is less known within a Eurocentric education system is that during the Dark Ages, the Islamic world was thriving with inventions. Or, that the world’s oldest existing university isn’t in Oxford or Cambridge, but in Fez, Morocco. The University of Al-Qawariyyin was founded by Fatima Al-Fihri, who envisioned higher education in 859. With this rich history and with so many Muslim women thriving in sciences, law, literature, arts etc, more reminders of this is reflective of the modern Western world. 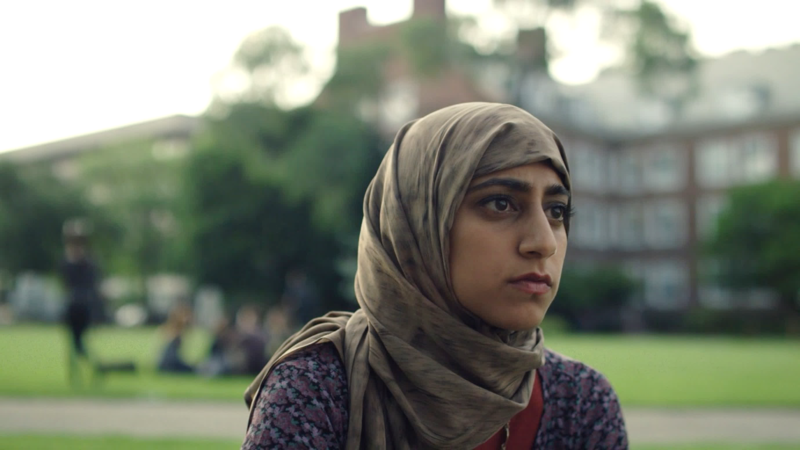 Consulting creative Muslim women like the essay writers of It’s Not About the Burqa (a more ambitious crossover event than Infinity War) and including them in writers’ rooms is essential to moving forward, so characters like Dahlia aren’t just afterthoughts, 14 seasons in. With a quarter of the world’s population made up of self-identifying Muslims, half of which are women presumably, my demographic is clearly deserving of visibility when it comes to representation. Treatment of individual stories integrating race, culture and faith respectively is a challenge, but one that the community needs so coming generations of girls like me don’t grow up feeling alienated or divided between their religion and their nationality. Even for me, learning more about the experiences of black Muslim women or those of women in niqabs etc. would be educational and in terms of story-telling, provide fresh narratives within a stagnating, white-washed industry. The dozen or so examples I’ve found mark out the beginnings of a scale ranging from well-written and developed to one-dimensional and rooted in misunderstanding. Though an improvement, representation like this is far from commonplace. Even with television I adore, critically acclaimed for diversity like Sense8 and Brooklyn Nine-Nine, the opportunity was missed and in Grey’s, it is too late for me to take on the challenge of the 13 previous seasons for one intern. European TV like Norwegian SKAM or the Netflix’s new Spanish Elite both feature Hijabi characters that I can’t wait to meet, and perhaps with Rebecca Sugar’s strides for inclusive cartoons in Adventure Time and Steven Universe, even younger audiences may one day see Islam reflected positively. The future is unknown and exciting, but personally I hope that in the renaissance of my favourite 2000s TV like Doctor Who, Veronica Mars and Buffy the Vampire Slayer (which will feature a black slayer as the lead) the creators will do better, so that I can feel closer to the worlds I grew up inhabiting.